Panel discussion with parents who are willing to share how and why they’ve changed their lives, in some cases changed the course of their professional lives, moved, or “given up something” in order to facilitate and support their children’s education in some manner or another. Keli Bryan is a co-founder and facilitator at ZigZag ALC, a school for self-directed education in Asheville, NC. Previously, she taught in a public high school and worked as a consultant for school districts to develop, implement, and evaluate service learning and social-emotional learning programs. 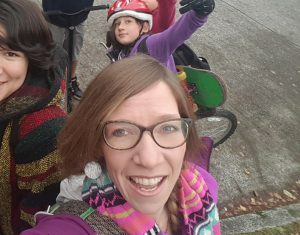 She has a passion for children and their right to play and has helped found Asheville Adventure Play, a group dedicated to creating spaces for kid-structured play. She is trained as an Agile Learning Facilitator, and has a Masters in Education and a Masters in Clinical Psychology. 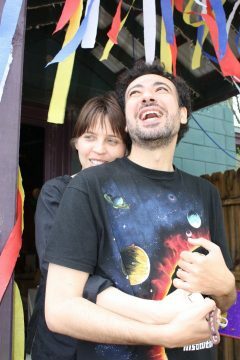 Hany Nagib is a co-founder and facilitator at ZigZag ALC, a school for self-directed education in Asheville, NC. Previously, he had a long career in the tech industry, where he honed his analytical and executive management skills. He has since grown into a facilitator of all things that help people connect more deeply to each other, from intergenerational improv, to relationship coaching, to community mediation. He is a children rights advocate, and has taught kids and adults in many settings over the years. He loves to interact with kids of all ages through play, service learning, and engaging their curiosities. He is trained as an Agile Learning Facilitator, and has a Masters in Computer Science. Lisa Wolfe is an Intuitive Guide and Mentor to Spiritual Entrepreneurs and Seekers. Her mission is to connect clients with their deepest soul purpose, to express their highest creativity and fulfillment. 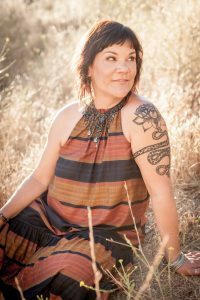 She combines modern shamanic practices and energy work with pragmatic methodologies gleaned from 20 years as an entrepreneur. She specializes in removing the energies that interfere with her clients’ Soul Guidance; her background allows her to assist them in aligning their lives with their own soul purpose and personal sacred mission. 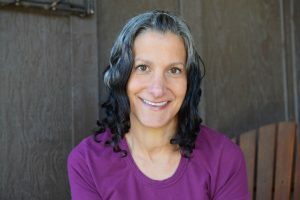 Lisa’s first entrepreneurial venture was a Montessori school for her three children; she has homeschooled and unschooled all three, and appeared on her first panel on education at age 12, when she represented Montessori children on a radio show. Ann has worked with children and families for over 27 years. She has a Masters Degree in Education and completed a two-year certification program studying the effects of stress and trauma on early brain development. Ann’s interest in how humans learn and grow has led to continued study of family relationships and adult development. She has worked in a variety of settings as a teacher/consultant, child development specialist, group facilitator, and administrator. In addition to consulting, Ann conducts workshops teaching Mindfulness Studies to Teens and Adult workshops incorporating Yoga inspired mind/body movement to support self-awareness, communication, and personal growth. She is also involved with Global Village School supporting families on their homeschool journey. Ann’s passion for natural learning has shifted her life in many ways and led her to homeschool her two boys, who are now teenagers. Along with her websites, she can also be reached on Facebook at Origins Homeschool Consulting and Ann Hansen Consulting. Sweta Chawla PharmD and Author of the book I Still Haven’t Found What I’m Look For…Now What? Left her 17 year Profession of Pharmacy after the premature birth of her son. Leaving a decade long career as a Professor she then took a deep-dive into her soul. To her surprise, she came out a writer, practical mystic, and a compulsive story-teller. Her mission is to support martyrs to “get a life” in the most compassionate way possible. However her Alter Ego is Ms. Piggy so don’t mistaken her “love & light” attitude. She’s passionate about supporting women to experience Balance, Belonging and Beauty from the inside out. 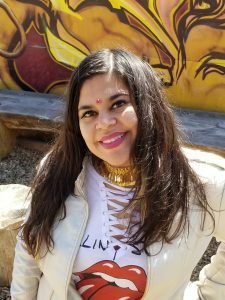 She’s determined to get moms to honor their intuition & lead their family through her customized Unique Harmony LifeStyle process. Her approach is about giving permission to want it all on YOUR terms without having to do it alone. Instead feel magically supported. When not “working,” she’s either salsa dancing, at an open-mic/improv or exploring the world with her family and sometimes alone. At the dawn of a new century, Christopher and Beth Montañez were new parents. 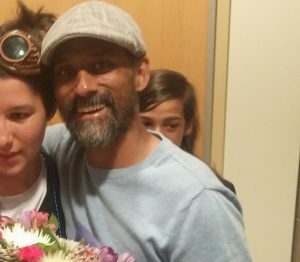 As they began to consider their new daughter’s future, they both agreed that traditional education, or family life as it had evolved was not conducive to the lifestyle they envisioned. They set out collecting and reading a variety of parenting, educational and homeschool books among many other topics related to family life. 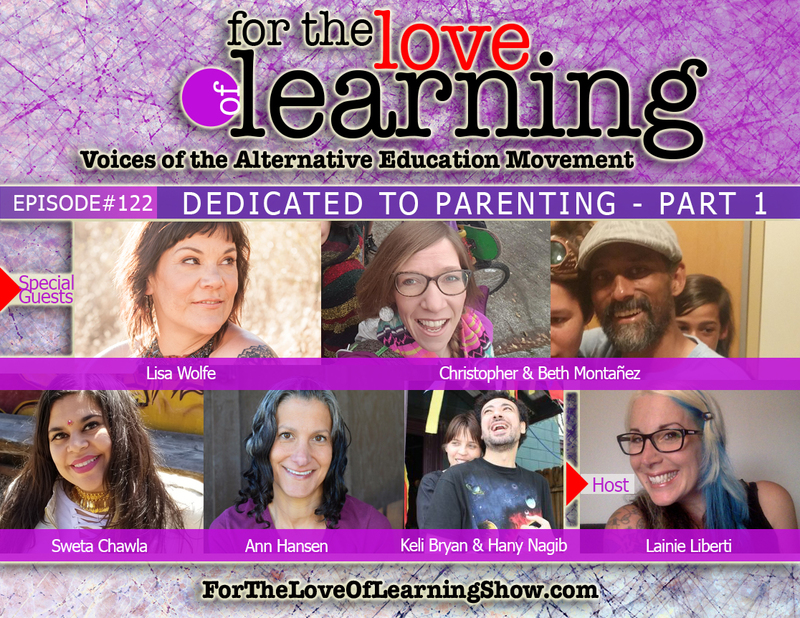 Christopher was influenced by Howard Gardener’s book – The Unschooled Mind, and both he and Beth Alfie Kohn’s Unconditional Parenting. Despite these influences, and many others (Playful Parenting, Hand in Hand Parenting) the new and different way they envisioned life collided with the conflict between raising a family and making ends meet, personal struggles, marital discord, and general lack of support for non-traditional ways of raising children. They were not living how they wanted or how they felt was best. Around the time their oldest child would be entering school, they suffered in the economic crash of 2008, and by 2010 they reluctantly enrolled in public school. Christopher knew that for them to give their kids the best possible opportunities, that their entire life must be built around that goal. In late 2011 they began a series of lifestyle changes, beginning with Christopher’s physical health, which was the catalyst to redesigning their business, their home organization, their family rituals and tradition, and their nutritional and economic health. To be successful, it all had to work seamlessly to support their number one most important purpose, their children. To achieve a complete transformation of their lifestyle, Christopher developed a yogic trio of systematic approaches. The OldSchool Approach for the body, The Role Model Approach for the mind, and The Natural Approach for the spirit. These three systems coordinate all major aspects of life into a “whole”istic narrative, where no domain has to be ignored to give attention to the others. At the center is The Role Model Approach, a Multiple Intelligences program designed to take children from intuitive curiousity to confident understanding in a playful and cooperative way. The kids, or Collectors start out seeking role-models, experiences and activities. Next theCollectors set out on an expedition to develop an understanding within a particular Intelligence Core, or Power Group. As they collect more cores and powers, they return periodically to their Selfies to update an image that reflects their growing Core Collections and Powers. Along the way, Beth and Christopher act as Mentors; guiding, encouraging and instructing as needed. Their family’s daily life is guided by following and continuing to improve upon the systems for their ultimate goal of sharing the approaches to living a harmonious, fulfilling and balanced life with all other seekers of this seemingly elusive goal. And to build a community of families and mentors that all work together to provide the best possible life for all.